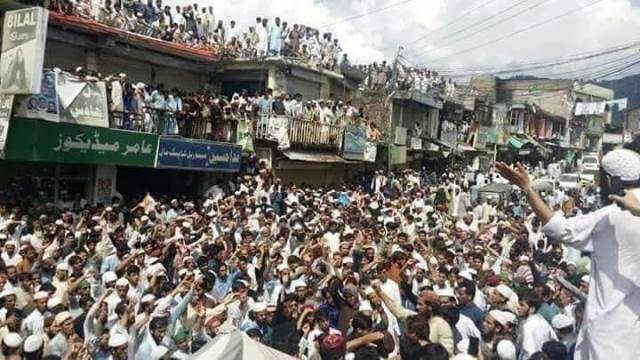 The July 25 elections in Khyber Pakhtunkhwa largely remained peaceful with just a few reports of scuffles between overzealous party supporters. But five days after the big day, the mood in the province has soured as the election results started to solidify. Major politicians have lost after being elected for decades. Those who have lost their guaranteed spots in the assembly include ANP chief Asfandiyar Wali, JUI-F head Maulana Fazlur Rehman, Aftab Sherpao and JI chief Sirajul Haq. And they are not having it. All the losing parties, including independent candidates, have leveled allegations of rigging and called for protests. Four people have so far been injured as a result of skirmishes between security forces and protesters who have been questioning the authenticity and transparency of these elections. 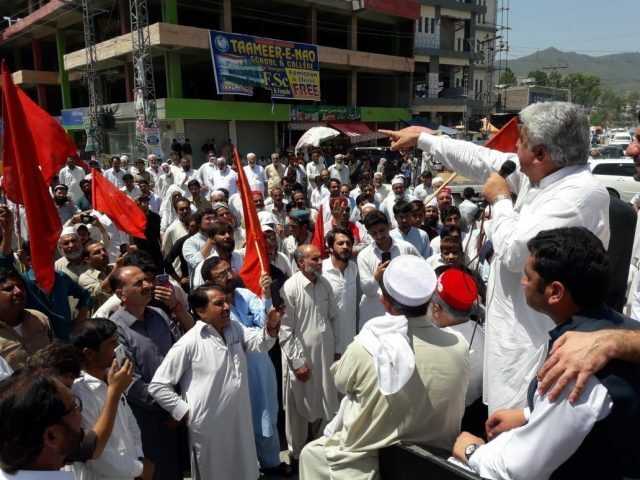 The ANP held protests on Monday in different parts of KP, including Swabi, Mardan, Charsadda, Nowshera against what they said was a “selection” and not an election. At Charsadda’s Farooq Azam Chowk, where protests have been going on since the announcement of the results, protesters and security forces came face to face. An additional contingent of police were called to clear the way for a security forces’ convoy. Wali said the ANP workers worked day and night to make these elections successful. On the day of voting, “aliens” came and had their favourites win the elections. “We won’t forgo our right at any cost,” said the ANP chief. “When my daughter asked for Form-45, she was told to worry about her honour,” Wali said. He said that there was no point in recounting as the ballot boxes had been filled with “bogus” votes. Speaking to SAMAA Digital, the ANP’s Swabi youth president Shahid Yousafzai alleged that the playing field had been leveled for a single party in the district and other parties had been sidelined. Swabi vice president Shehryar Khan said that the public mandate had been stolen and the administration and election commission had failed to hold free and fair elections. He said that they had recorded their complaints with the returning officers on polling day, but to no avail. Khan added that their applications for a vote recount were not honoured and no reason was given. The ANP in Lower Dir held a protest against the ECP at Timergara’s Shaheed Chowk. The protest was led by ANP district president Hussain Shah. In Battagram, protesters dispersed after blocking the Karakoram Highway for three days. 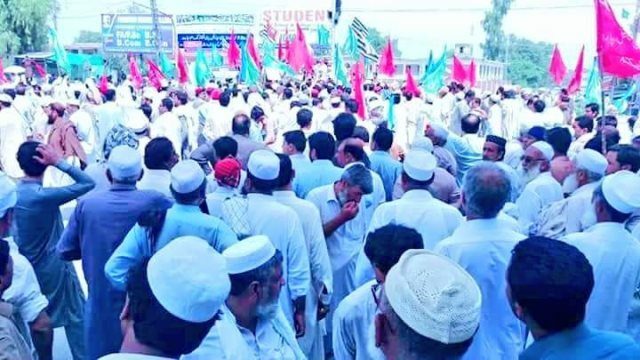 Pakistan Raah-e-Haq party candidate from NA-12, Ata Muhammad Deshani, had demanded a recount but this was not accepted despite a three-day protest. PTI’s candidate was declared the winner from the constituency. Four people were reported injured after the security forces opened fire on PML-N supporters who were protesting again rigging in NA-13 and demanding a recount. The protesters dispersed after they were given assurances of a recount. However, the area is still tense. 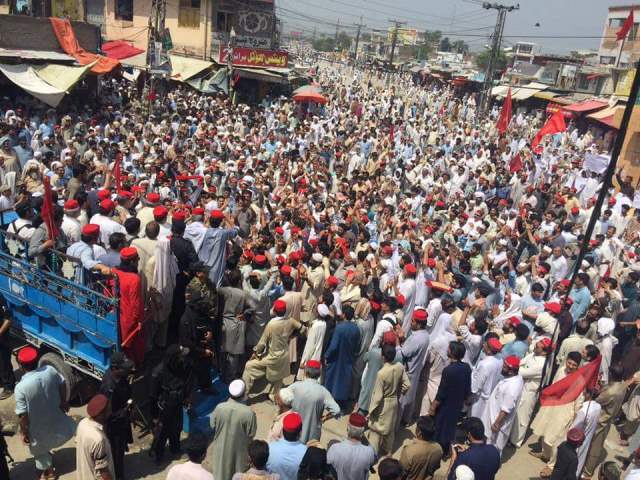 The MMA and ANP supporters in the district have been protesting against what they say is rigging. Several requests of the MMA candidates for a recount in Upper and Lower Dir have been rejected.